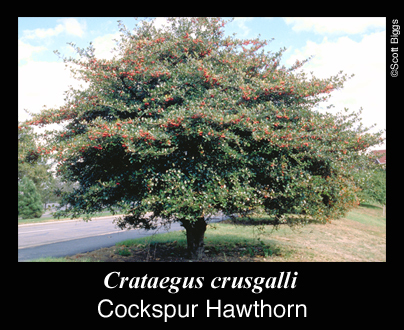 Crataegus crusgalli is a small tree with horizontal, spreading branches and a flat-topped shape at maturity. 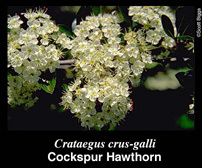 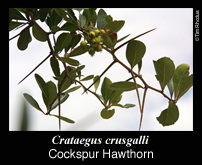 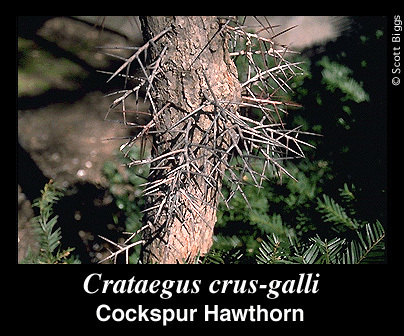 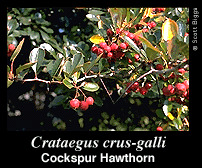 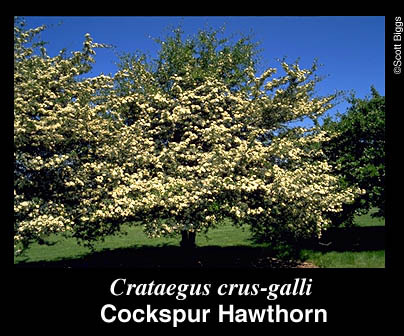 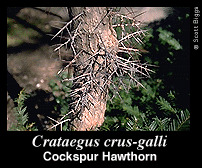 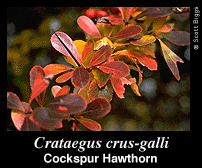 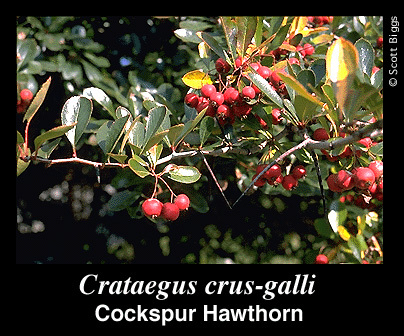 Cockspur Hawthorn is known for its showy white inflorescences, brick-red fruits, glossy summer and vibrant, multi-colored autumn foliage, and bold winter texture. 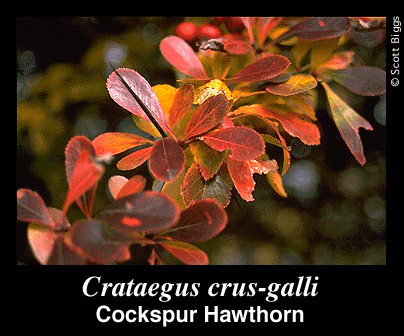 -autumn color is often a showy multi-colored array of red, purple, orange, and yellow waxy leaves on the tree at the same time, coloring in late Oct. and early Nov.